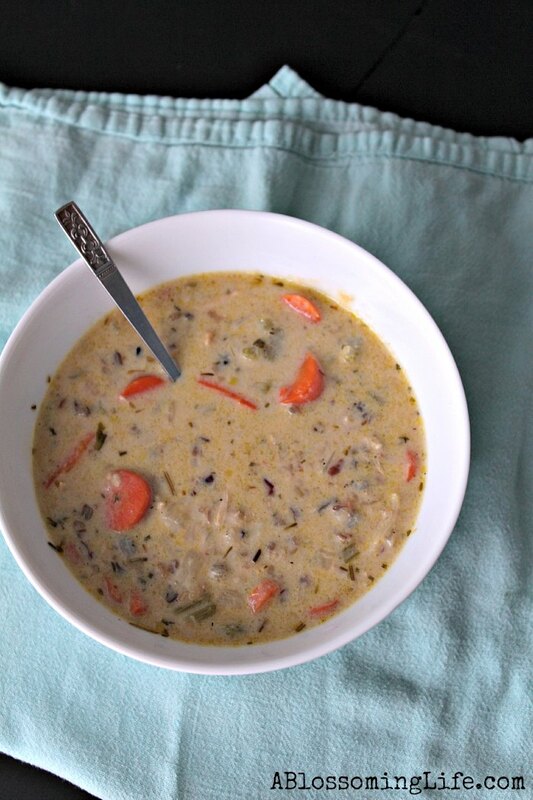 Back to thinking about something warm… This soup is super yummy and easy to make! It also contains lots of healthy ingredients! No fake cream-of-something canned soup. Just simple ingredients and simple tastes. See that spoon there? That’s the best spoon ever (AKA my favorite spoon). It was my grandmother’s, then my mom got it, and then I stole politely took without asking that one lone spoon from her (insert evil laugh). FYI, she knows I have it. 🙂 Am I crazy, or do you have that favorite item? In a large soup pot, add butter and/or oil, chopped carrots, celery, and onions. Cook until soft. Stir in garlic, thyme, rosemary, parsley, and a bay leaf and cook for 1-2 minutes more. Add in chicken stock, let soup come to a boil, and cook for 20 minutes. Reduce heat and stir in cream, cooked rice, and chicken, and simmer for 10 more minutes watching carefully so that it doesn't over boil. Pour into bowls or your favorite mug and enjoy. Place leftover soup in the fridge. Enjoy this delicious and classic soup! I hope you all stay nice and warm during this very chilly time! Cuddle up with a nice blanket, someone you love, and this warm delicious soup. Have a great week! Looks and sounds delicious! Soup is perfect for a day like today. We are experiencing the polar-vortex right now! It is definitly the perfect weather for soup! I hope it warms up quick! 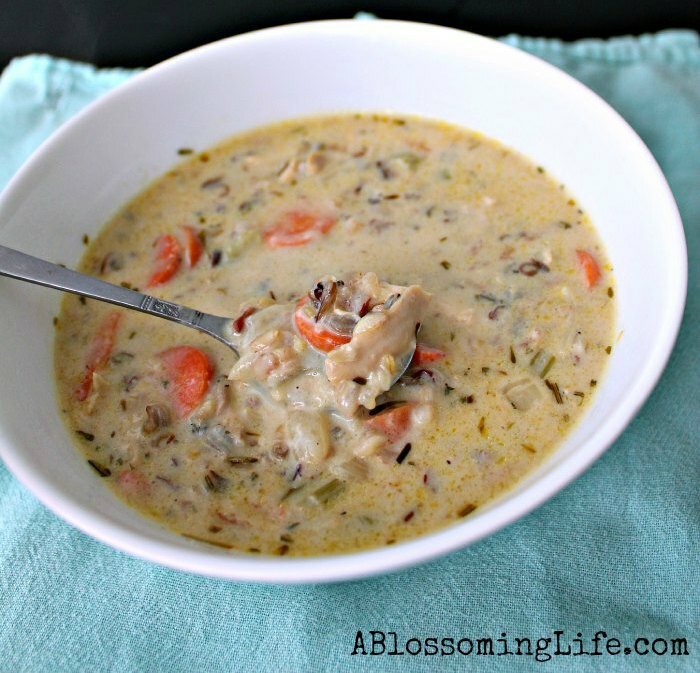 Chicken and Wild Rice is one of my favorite soups! Its actually on my agenda to do some time this winter. I’ll be keeping your recipe in mind! Chicken and rice is my favorite combination, however I have never cooked this soup. Thanks, Amy! 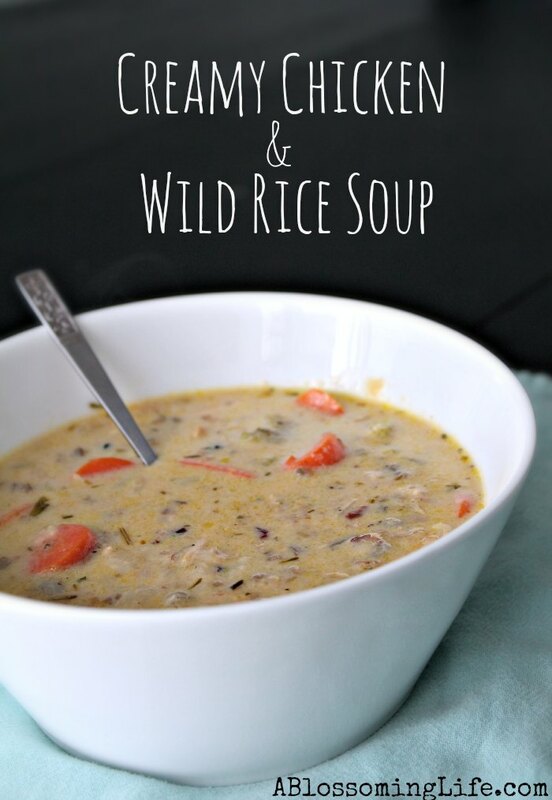 What brand of wild rice did you use? Made it exactly according to recipe. Amazing! Hubs is currently eating third bowl. Serve it with a good crusty garlic bread. Thanks for the great recipe. I just made this! I substituted coconut cream for the milk and cooked the rice in the pan of chicken broth. It turned out delicious – thank you so much!